Sadness. That is what I felt throughout my reading of Shulem Deen’s soon to be released memoir, All Who Go Do Not Return. I was sad because I knew before I started reading it, how this story was going to end. Shulem Deen has been very public about his past and present. There have been stories written about him and by him. His current beliefs (or perhaps more accurately - lack of them) and his past life as a Skverer Chasid are not exactly secret. I wasn’t wrong. Shulem Deen’s search for truth ended up making him a very lonely man. I knew the ending before I started reading the book. I was sad not so much about his erroneous (in my view) conclusions about God and Judaism. Although I am in no way minimizing the importance of that - this post isn’t about that. I was sad about the tragic consequences to his family and to his own life. The book does not end with the divorce of his wife. Shulem goes on to tell the story about how the relationship with his ex-wife and children deteriorated despite his noble attempts to maintain it… and how that affected the quality of his life. As Shulem describes it, the divorce was perhaps the most amicable one in history. Despite his lack of belief - a Get (religious divorce) was given. There was complete agreement between Shulem and his ex-wife about how the children would be raised and when each parent would have the children. Shulem and his ex-wife still cared about each other and both wanted the best for them. There was open and frequent communication between Shulem and his ex-wife. The children were to be raised as Skverer Chasidm. Shulem would provide Kosher food and keep a Kosher kitchen at standards acceptable to Skvere. The children loved both their parents and interacted with their father in the typically loving way fathers and children do. But after awhile things began deteriorating. Long story short, the relationship with hs ex-wife ended. And eventually so did the relationship with all but one of his children. Shulem loved (loves) his children dearly, like any good father. And except for the religious issues, he seemed to have been an exemplary father. And now it was all gone. This hurt him deeply. He now lived in a world radically different from his past. For the most part he lived a lone and very lonely life. With no friends, no family and no community he felt lost. Not that he regretted his choices. But he regretted losing things that were so very precious to him. He tried in various ways to make new friends; find a new community; and inject some meaning into his life but for the most part he has not. Certainly not in any way close to what he had before. Shortly after he lost his family, he lost his programming job which was outsourced to India. He ended up suffering from depression so severe that he became suicidal. That moved his psychotherapist to have him hospitalized. To read the description of the despair he felt at this point in his life was gut-wrenching. As sad as I felt when I began reading this book, I felt even sadder when I completed it. Here was a man that simply sought out truth and when he found what he believed it to be it cost him dearly. To his credit, Shulem realized that there was no real villain here. He could not expect his children –raised from birth fully as Skverer Chasidim - to take the path away from all that along with him. He must have also known that religious leaders would understandably not want a heretic to have any influence over his children and would seek to end or severely minimize his contact with them no matter how much and how sincerely he promised to accommodate them religiously. This is not to say that Shulem wouldn’t keep his word. I believe he would. But they believe one cannot trust a heretic to fully keep his word on matters of religion. 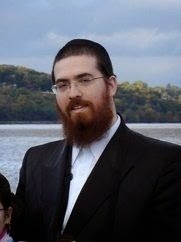 It was no doubt pressure from those rabbinic leaders caused the end of the relationship between Shulem and his family. Shulem must at some level have known that - even as his relationship ended amicably - it would eventually come to this. There is a particularly poignant passage in the book about Shulem’s serach for meaning in his life found a Non Orthodox Shul. While there, he heard the prayers he had once so fervently recited that gave his life so much meaning and it reminded him of what he once had… and was lost forever. I can’t help but feel strong sympathy for Shulem. Had he stayed with his family and his new found disbelief he may have fared better. There are many Orthodox Jews who have lost faith, and yet remained with their families and observed the Mitzvos. At least outwardly. The children are still raised Orthodox. Had Shulem done that he might not have lost it all. I know that would have meant not being true to who he really was. And I don’t know if it was possible in his case. But I somehow think he would have been better off doing that – same as other former believers have. Perhaps he also, could have found compromise by leaving Skvere and living the kind of Orthodox lifestyle that would have given him many of the things he now has but that Skverer Chasidus could not have given him. Like use of the internet or having a TV in the house. Not that I have a right to tell people how to live their lives. I just wish that he would have made choices that would have kept his family intact, and given him a better more meaningful life. Shulem says that he has no regrets. And yet I wonder if he has had similar thoughts? So I am sad for Shulem who still seems to live a very lonely life. I am sad for his children who lost a father they once loved. And yet I am hopeful that those with similar leanings that read his book will realize that the kind of radical change Shulem Deen made- even as he felt it was the right one based on being true to oneself -may not be the best solution for individual happiness.